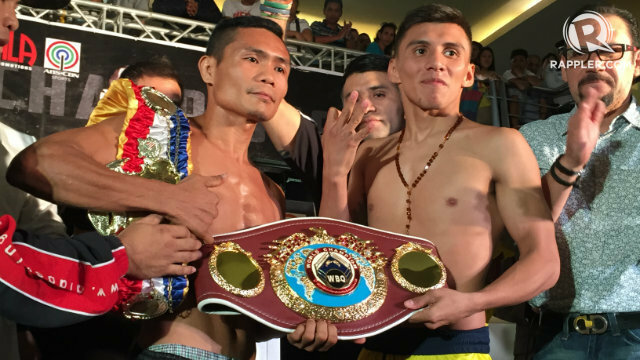 Home Boxing Videos Full Fight Video: Donnie Nietes vs. Francisco Rodriguez Jr.
Full Fight Video: Donnie Nietes vs. Francisco Rodriguez Jr.
Watch the full fight replay of the WBO world light flyweight Donnie "Ahas" Nietes vs the Mexican 2 time former world champion Francisco Rodriguez Jr.
A tactical fight for Donnie Nietes, he was not the aggressor but he was connecting more accurate Punches than Rodriguez. Nietes defeats Rodriguez via UD victory with the judges score of 115-113, 119-109 and 118-110. Nietes remains world champion and the only Filipino boxing champion so far.